Living in the world under your skin is a bustling metropolis of 50 trillion cells, each of which is biologically and functionally equivalent to a miniature human. Current popular opinion holds that the fate and behaviour of our internal cellular citizens are preprogrammed in their genes. Since Watson and Crick’s discovery of the genetic code, the public has been programmed with perception that DNA acquired from our parents at the moment of conception determines our traits and characters. This conventional view of genetics further has us believe that our inherited gene programs are apparently fixed, the equivalent of a computer’s “read-only” program. The conventional version of heredity still being taught in schools emphasises genetic control, which literally reads as “control by genes.” However, newly revealed epigenetic control mechanisms provide a profoundly different view of how life is managed. The Greek-derived prefix epi- means “over or above.” Consequently, the literal translation of epigenetic control reads as “control above the genes.” Genes do NOT control life – life is controlled by something above the genes. Knowledge is power and this knowledge of how life works provides the most important element in our quest for self-empowerment. Epigenetics leads us from our perception of victim to our proper role as a participatory creator. The new science of epigenetics recognises that environmental signals are the primary regulators of gene activity. As described in the Biology of Belief: Unleashing the Power of Consciousness, Matter and Miracles, cells read and respond to the conditions of their environment using membrane protein perception switches. Activated switches send signals into the cytoplasm to control behaviour and regulate the activity of the genes, the hereditary blueprints used to make the body. Proteins are the cell’s molecular building blocks and their characters provide for our physical and behavioural traits. Amazingly, epigenetic information can modify or edit the readout of a gene blueprint to create over 30,000 different variations of proteins from the same gene. This editing process can provide for normal functional protein products as well as dysfunctional proteins from the same gene. One can be born with healthy genes and through epigenetic processes express mutant behaviours such as cancer. Similarly, one can be born with defective mutant genes and through epigenetic mechanisms create normal healthy proteins and functions. The conventional belief that the genome represents “read-only” programs is now proven to be false. Epigenetic mechanisms modify the readout of genetic code, therefore genes actually represent “read-write” programs wherein life experiences actively redefine an individual’s genetic expression. As organisms experience the environment, their perception mechanisms fine-tune genetic expression so as to enhance their opportunities for survival. The environment’s influence over the genome is dramatically revealed in studies on identical twins. When first born, these siblings express almost the same gene activity from their identical genomes. However, as they begin to experience life, their personal individualised experiences and perceptions lead to the activation of profoundly different sets of genes. The “new” biology is based upon the fact that perception controls behaviour AND gene activity! This revised version of science emphasises the reality that we actively control our genetic expression moment by moment throughout our lives. Rather than seeing ourselves as victims of our genes, we must come to own the responsibility that our perceptions are dynamically shaping our biology and behaviour. The expression of a healthy or dis-eased biology is directly influenced by the accuracy of an individual’s interpretation or perception of their environment. Misperceptions rewrite genetic expression just as effectively as accurate perceptions, yet with far graver, perhaps even life threatening consequences. For the first three and a half billion years of life on this planet, the biosphere consisted of a massive population of individual single-celled organisms, such as bacteria, yeast, algae, and protozoa like the familiar amoeba and paramecium. About 700 million years ago, individual cells started to assemble into multicellular colonies. The collective awareness afforded in a community of cells was far greater than an individual cell’s awareness. Since awareness is a primary factor in organismal survival, the communal experience offered its citizens a far greater opportunity to stay alive and reproduce. The first cellular communities, like the earliest human communities, were basic hunter-gatherer clans wherein each member of the society offered the same services to support the survival of the community. However, as the population densities of both cellular and human communities reached greater numbers, it was no longer efficient or effective for all individuals to do the same job. In both types of communities, evolution led to individuals taking on specialised functions. For example, in human communities some members focused upon hunting, others upon domestic chores and some upon child rearing. In cellular communities specialisation meant that some cells began to differentiate as digestive cells, others as heart cells, and still others as muscle cells. Most of the trillions of cells forming bodies such as ours have no direct perception of the external environment. Liver cells “see” what’s going on in the liver, but don’t directly know what’s going on in the world outside of the skin. The function of the brain and nervous system is to interpret environmental stimuli and send out signals to the cells that integrate and regulate the life-sustaining functions of the body’s organ systems. The successful nature of multicellular communities allowed evolving brains to dedicate vast numbers of cells for use in the cataloguing, memorising and integrating complex perceptions. The ability to remember and select among the millions of experienced perceptions in life provides the brain with a powerful creative database from which it can create complex behavioural repertoires. When put into play, these behavioural programs endow the organism with the characteristic trait of consciousness. In this presentation, the term consciousness is used in its most fundamental context… the state of being awake and aware of what is going on around you. Many scientists prefer to think of consciousness in terms of a digital quality, an organism either has it or not. However, an assessment of the evolution of biological properties suggests consciousness, like any other quality, evolved over time. Consequently, the character of consciousness would likely express itself as a gradient of awareness from its simpler roots in primitive organisms to the unique character of self-consciousness manifest in humans and other higher vertebrates. The expression of self-consciousness is specifically associated with a small evolutionary adaptation in the brain known as the prefrontal cortex. The prefrontal cortex is the neurological platform that enables us to realise our personal identity and experience the quality of “thinking.” Monkeys and lower organisms do not express self-consciousness. When looking into a mirror, monkeys will never recognise that they are looking at them selves; they will always perceive the image to be that of another monkey. In contrast, neurologically more advanced chimps looking in the mirror perceive the mirror’s reflection as an image of themselves. An important difference between the brain’s consciousness and the prefrontal cortex’s self-consciousness is that consciousness enables an organism to assess and respond to the immediate conditions of its environment that are relevant at that moment. In contrast, self-consciousness enables the individual to factor in the consequences of their actions in regard to not only how they impact the present moment but also as to how they will influence the individual’s future. Self-consciousness is an evolutionary adjunct to consciousness in that it provided another behaviour-creating platform that included the role of a “self” in the decision-making process. While conventionalconsciousness enables organisms to be participatory members in the dynamics of life’s “play,” the quality of self-consciousness offers an opportunity to simultaneously be an observer in the “audience.” From the perspective of our being able to observe the role of “self” in the unfolding of the “play,” self-consciousness provides the individual with the option for self-reflection, reviewing and editing their character’s performance. The conscious and self-conscious functions of the brain may be collectively referred to as the mind. In conventional parlance, the brain’s conscious mechanism associated with automated stimulus-response behaviours is referred to as the subconscious or unconscious mind, for the reason that its functions require neither observation nor attention from the self-conscious mind. Subconscious mind functions evolved long before the prefrontal cortex, consequently it historically was able to successfully operate a body and its behaviour without any contribution from, or involvement with, the more evolvedself-conscious mind. The power of the subconscious mind lies in its ability to process massive amounts of data acquired from direct and indirect learning experiences at extraordinarily high rates of speed. It has been estimated that the disproportionately larger brain mass providing the subconscious mind’s function has the ability to interpret and respond to over 40 million nerve impulses per second. In contrast, it is estimated that the diminutive self-conscious mind’s prefrontal cortex can only process about 40 nerve impulses per second. As an information processor, the subconscious mind is one million times more powerful than the self-conscious mind. As a tradeoff in acquiring its computational bravado, the subconscious mind expresses a marginal creative ability, one that may be best compared to that of a precocious five year old. In contrast to the freewill offered by the conscious mind, the subconscious mind primarily expresses prerecorded stimulus-response “habits.” Once a behaviour pattern is learned, such as walking, getting dressed or driving a car, those programs are processed as habits in the subconscious mind… meaning you can carry out these complex functions without paying any attention to them. In contrast to the massive information processing by the subconscious mind, the smaller prefrontal cortex responsible for self-consciousness is limited to juggling only a small number of tasks at the same time. Though its ability for multitasking is physically constrained, the self-conscious mind can focus upon and control any function in the human body. It was once thought that some body’s functions were beyond the control of the self-conscious mind, such involuntary functions included the regulation of heartbeat, blood pressure and body temperature, behaviours controlled by the unconscious autonomic nervous system. However, it is now recognised that yogis and other practitioners that train their conscious minds can absolutely control functions formerly defined as involuntary behaviours. The subconscious and self-conscious components of the mind work in tandem. The subconscious mind controls every behaviour that is not attended to by the self-conscious mind. For most people, their self-conscious minds are rarely focused upon the current moment since their mental processing continuously flits from one thought to another. The self-conscious mind is so preoccupied with thoughts about the future, the past or resolving some imaginary problem, that most of our lives are actually controlled by programs in the subconscious mind. Cognitive neuroscientists conclude that the self-conscious mind contributes only about 5% of our cognitive activity. Consequently, 95% of our decisions, actions, emotions and behaviours are derived from the unobserved processing of the subconscious mind. Through the management of “programmed” perceptions, the mind controls our biology, behaviour and gene activity. The seat of thinking, freewill, personal identity, and our wants, desires and intentions is a small 40 “bit” self-conscious processor that controls our lives only 5% of the day or less. The million times more powerful subconscious mind controls 95% or more of our lives using “habits” derived from instincts and the perceptions acquired in our life experiences. This data reveals that our lives are not controlled by our personal intentions and desires as we may inherently believe. Do the math! Our fate is actually under the control of the preprogrammed experiences managed by the subconscious mind. The most powerful and influential programs in the subconscious mind were downloaded into consciousness in the profoundly important formative period between gestation and six years of age. Now here’s the catch – these life-shaping subconscious programs are direct downloads derived from observing our primary teachers… our parents, siblings and local community. Unfortunately, as psychiatrists, psychologists and counsellors are keenly aware, many of the perceptions acquired about ourselves in the formative period are expressed as limiting and self-sabotaging beliefs. Unbeknownst to most parents is the fact that their words and actions are being continuously recorded by their children’s minds. Consequently, when they inform their child that he or she does not deserve things, or that they are not good enough, or smart enough, or that they are sickly, these pronouncements are directly downloaded into their child’s subconscious. Since the role of the mind is to make coherence between its programs and real life, the brain generates appropriate behavioural responses to life’s stimuli to assure the “truth” of the programmed perceptions. Let’s apply this understanding to the behaviour in one’s life. Consider that you were a 5-year-old child throwing a tantrum in Walmart over your desire to have a particular toy. In silencing your outburst, your father yelled, “YOU don’t deserve things!” You are now an adult and in your self-conscious mind you are considering the idea that you have the qualities and power to assume a position of leadership at your job. While in the process of entertaining this positive thought in the self-conscious mind, all of your behaviours are now being automatically managed by the programs in your more powerful subconscious mind. Since your fundamental behavioural programs are those derived in your formative years, your father’s admonition that “you do not deserve things” may become the subconscious mind’s automated directive. So while you are entertaining wonderful thoughts of a positive future and not paying attention, your subconscious mind is automatically engaging self-sabotaging behaviour to assure that your reality matches your program of not-deserving. Now here’s the catch – Behaviour is automatically controlled by subconscious mind’s programs when the self-conscious mind is not focused on the present moment. When the reflective self-conscious mind is preoccupied in thought and not paying attention, it does not observe the automatic behaviours derived from subconscious mind. Since 95% or more of our behaviour is derived from the subconscious mind… then most of our own behaviour is invisible to us! For example, consider you intimately know someone and you also know his or her parent. From your perspective you see that your friend’s behaviour closely resembles their parent. Then one day you casually remark to your friend something like, “You know Mary, you’re just like your mom.” Back away! In disbelief and perhaps shock, Mary will likely respond with, “How can you say that!” The cosmic joke is that everyone else can see that Mary’s behaviour resembles her mom’s except Mary. Why? Simply because when Mary is engaging the subconscious behavioural programs she downloaded in her youth from observing her mom, it’s because her self-conscious mind is not paying attention. At those moments, her automatic subconscious programs operate without observation. Another familiar example of how “invisible” behaviour operates: You are driving your car while having an intense conversation with a friend in the passenger’s seat. You become so involved in the discussion that only later, when your gaze returns to the road, do you realise that you haven’t paid attention to the driving for the last ten minutes. Since the self-conscious mind was preoccupied with the conversation, the car was being driven by the subconscious mind’s “autopilot” mode. However, if you were asked to describe your driving behaviour during that ten-minute hiatus, you would be forced to say, “I don’t know… I wasn’t paying attention.” Aha! That’s the point – when the conscious mind is busy, we do not observe our own programmed subconscious behaviours. Consequently, when life does not work out as planned, we rarely recognise that we were very likely contributing to our own disappointments. Since we are generally unaware of the influence of our own subconscious behaviours, we naturally perceive of our selves as victims of forces outside of us when things don’t work out as desired. Unfortunately, assuming the role of victim means that we assume we are powerless in manifesting our intentions. Nothing is further from the truth! The primary determinant in shaping the fate of our lives is the database of perceptions and beliefs programmed in our minds. Where Did That Behaviour Come From? There are three sources of perceptions that control our biology and behaviour. The most primitive perceptions are those we acquire with our genome. Built into our genes are programs that provide fundamental reflex behaviours referred to as instincts. Pulling your hand out of an open flame is a genetically derived behaviour that does not have to be learned. More complex instincts include the ability of newborn babies to swim like a dolphin or the activation of innate healing mechanisms to repair a damaged system or eliminate a cancerous growth. Genetically inherited instincts are perceptions acquired from nature. The second source of life-controlling perceptions represents memories derived from life experiences downloaded into the subconscious mind. These profoundly powerful learned perceptions represent the contribution from nurture. Among the earliest perceptions of life to be downloaded are the emotions and sensations experienced by the mother as she responds to her world. Along with nutrition, the emotional chemistry, hormones, and stress factors controlling the mother’s responses to life experiences cross the placental barrier and influence fetal physiology and development. When the mother is happy, so is the fetus. When the mother is in fear, so is the fetus. When the mother “rejects” her fetus as a potential threat to family survival, the fetal nervous system is preprogrammed with the emotion of being rejected. Sue Gearhardt’s very valuable book Why Love Matters reveals that the fetal nervous system records memories of womb experiences. By the time the baby is born, emotional information downloaded from the life experiences in womb have already shaped half of that individual’s personality. However, the most influential perceptual programming of the subconscious mind occurs in the time period spanning from the birth process through the first six years of life. During this time the child’s brain is recording all sensory experiences as well as learning complex motor programs for speech, and for learning first how to crawl and then how to stand and ultimately run and jump. Simultaneously, the subconscious mind acquires perceptions in regard to parents, who are they and what they do. Then by observing behavioural patterns of people in their immediate environment (usually parents, siblings and relatives), a child learns perceptions of acceptable and unacceptable social behaviours that become the subconscious programs that establish the “rules” of life. EEG vibrations continuously shift from state to state over the whole range of frequencies during normal brain processing in adults. However, brain frequencies in developing children display a radically different behaviour. EEG vibration rates and their corresponding states evolve in incremental stages over time. The predominant brain activity during the child’s first two years of life is delta, the lowest EEG frequency range. In the adult brain, delta is associated with sleeping or unconsciousness. Between two and six years of age, the child’s brain activity state ramps up and it operates primarily in the range of theta. In the adult, theta activity is associated with states of reverie or imagination. While in thetheta state, children spend much of their time mixing the imaginary world with the real world. Calm consciousness associated with emerging alpha activity only becomes a predominant brain state after six years of age. By twelve years, the brain expresses all frequency ranges although its primary activity is inbeta’s state of focused consciousness. Children leave elementary education behind at this age and enter into the more intense academic programs of junior high. A profoundly important fact in the above timeline that may have missed your attention is that children do not express the alpha EEG frequencies of conscious processing as a predominant brain state until afterthey are six years old. The predominant delta and theta activity of children under six signifies that their brains are operating at levels below consciousness. Delta and theta brain frequencies define a brain state known as a hypnogogic trance, the same neural state that hypnotherapists use to download new behaviours directly into the subconscious mind of their clients. The first six years of a child’s life is spent in a hypnotic trance. Its perceptions of the world are directly downloaded into the subconscious during this time, without the discrimination of the, as yet, dormant self-conscious mind. Consequently, our fundamental perceptions about life and our role in it are learned before we express the capacity to choose or reject those beliefs. We were simply “programmed.” The Jesuits were aware of this programmable state and proudly boasted, “Give us a child until it is six or seven years old and it will belong to the Church for the rest of its life.” They knew that once the dogma of the Church was implanted into the child’s subconscious mind, that information would inevitably influence 95% of that individual’s behaviour for the rest of their life. The inhibition of conscious processing (alpha EEG activity) and the simultaneous engagement of a hypnogogic trance during the formative stages of a child’s life are a logical necessity. The thinking processes associated with the self-conscious mind’s processing cannot operate from a blank slate. Self-conscious behaviour requires a working database of learned perceptions. Consequently, before self-consciousness is expressed, the brain’s primary task is to acquire a working awareness of the world by directly downloading experiences and observations into the subconscious mind. HOWEVER, there is a very, very serious downside to acquiring awareness by this method. The consequence is so profound that it not only impacts the life of the individual, it can also alter an entire civilisation. The issue concerns the fact that we download our perceptions and beliefs about life long before we acquire the ability for critical thinking. Our primary perceptions are literally written in stone as unequivocal truths in the subconscious mind, where they habitually operate for life, unless there is an active effort to reprogram them. When as young children we download limiting or sabotaging beliefs about ourselves, these perceptions become our truths and our subconscious processing will invisibly generate behaviours that are coherent with those truths. As an important point for personal reference, it should be noted that acquired perceptions in the subconscious mind could even override genetically endowed instincts. For example, every human can instinctually swim like a dolphin the moment they emerge from the birth canal. This might prompt you to ask, “Why is it that we have to work so hard at teaching our children how to swim?” The answer lies in the fact that every time the infant encounters open water, such as a pool, a river, a bathtub, the parents freak out in concern for the safety of their child. However, in the baby’s mind, the parent’s behaviour causes the child to equate water as something to be feared. The acquired perception of water as dangerous and life threatening, overrides the instinctual ability to swim and makes the formerly proficient child susceptible to drowning. The following is further reference to the fact that our unconsciously acquired cultural beliefs control biology and behaviour. Through our developmental experiences we acquire the perception that we are frail, vulnerable organisms subject to the ravages of contagious germs and disease. The belief of being frail actually leads to frailty since the mind’s limiting perceptions inhibit the body’s innate ability to heal itself. This influence of the mind on healing processes is the focus of psychoneuroimmunology, the field that describes the mechanism by which our thoughts change brain chemistry, which in turn regulates the function of the immune system. While negative beliefs can precipitate illness (nocebo effect), the resulting dis-ease state can be alleviated through the healing effects of positive thoughts (placebo effect). Finally, the third source of perceptions that shape our lives is derived from the self-conscious mind. Unlike the reflexive programming of subconscious mind, the self-conscious mind is a creative platform that provides for the mixing and morphing a variety of perceptions with the infusion of imagination, a process that generates an unlimited number of beliefs and behavioural variations. The quality of the self-conscious mind endows organisms with one of the most powerful forces in the Universe, the opportunity to express freewill. The conclusions of the “new” biology provide a radical departure from our conventional beliefs of how life works. In contrast to the notion that we are biochemical automatons driven by genes, the new insights reveal that it is the mind that controls genes, which in turn shape our biology and behaviour. The self-conscious mind, associated with our individual identity and the manifestation of thoughts, is guided by our own personal desires and intentions. While we generally perceive that our self-conscious mind is “controlling” the show, neuroscience has established the fact that 95% of our behaviour is under the control of the more powerful subconscious mind. As most of our personal and cultural problems arise from the fact that behaviours derived from the subconscious mind are essentially invisible to us, we rarely observe our automated behaviour. Compounding the problem is the fact that fundamental programs in the subconscious mind are derived from others, people who generally do not share your personal goals and aspirations. While our conscious minds are trying to move us toward our dreams, unbeknownst to us our subconscious programs are simultaneously shooting ourselves in the foot and impeding our progress. The subconscious mind is simply a “record-playback” mechanism that downloads experiences into “behavioural tapes.” While the self-conscious mind is associated with creativity, the subconscious mind’s function is to engage previously recorded programs. Unlike self-consciousness that is overseen by an entity (you), the subconscious mind is more closely related to a machine, meaning there is no thinking, conscious entity controlling the subconscious programs. We have all been shackled with emotional chains wrought by dysfunctional behaviours programmed by the stories of the past. However, the next time you are talking to “yourself” with the hope of changing sabotaging subconscious programs, it is important to realise the following information. Using reason to communicate with your subconscious in an effort to change its behaviour would essentially have the same influence as trying to change a program on a cassette tape by talking to the tape player. In neither case is there an entity in the mechanism that will respond to your dialogue. Subconscious programs are not fixed, unchangeable behaviours. We have the ability to rewrite our limiting beliefs and in the process take control of our lives. However, to change subconscious programs requires the activation of a process other than just engaging in a running dialogue with the subconscious mind. There are a large variety of effective processes to reprogram limiting beliefs, which include clinical hypnotherapy, Buddhist mindfulness and a number of newly developed and very powerful modalities collectively referred to as energy psychology. 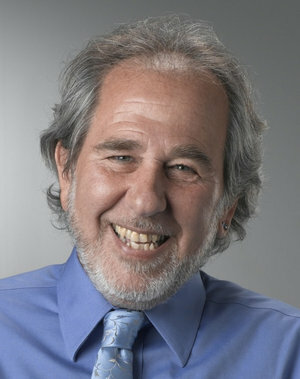 For a list of resources, visit: www.brucelipton.com.